Alaska Archives - Red Truck Fly Fishing Co.
1.5 hours from Anchorage lies one of the world’s greatest fisheries! 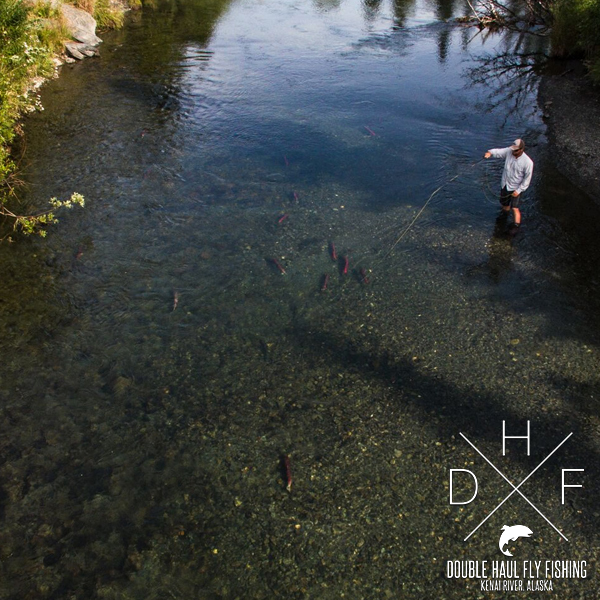 Located in Soldotna, Alaska, Double Haul Fly Fishing specializes in the best fly fishing that the Kenai River has to offer. 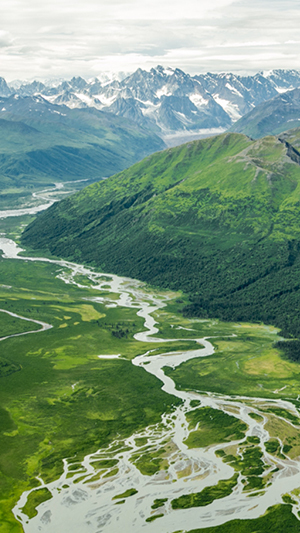 This glacial fed river hosts a number of different fish species and is one of the most friendly rivers for anglers to fish in the entire world. 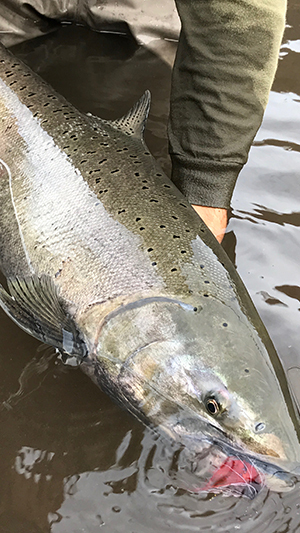 Located on Alaska’s Kenai Peninsula, fly anglers have the opportunity to chase trophy rainbows, hard fighting salmon, and even steelhead later in the season. Because of the river’s strong forage base, fish are available in large numbers, extremely healthy, and are eager to take a fly. Double Haul Fly Fishing tends to focus their Kenai River Fly Fishing Guide activities on the middle and lower sections of the river. They also operate on all the river sections including those found in the Cooper Landing, Sterling, Soldotna, and Kenai areas. June marks the beginning of the season on the Kenai. The first 2 weeks of the season can be phenomenal with hungry and aggressive rainbows chasing streamers. This time of year also kicks off the King Salmon runs and fishing from a drift boat is your best option. As July rolls around the second wave of Kings come in and towards the middle of the month Sockeye Salmon arrive in large numbers and hold strong till the end of the month. August brings the end of the Sockeye season, but the dinner bell rings for the rainbows as they feed on the flesh and eggs of the Sockeye. If you looking to targer big Rainbows then the end of August is ideal! Last and certainly not least, the Silver Salmon arrive from September – November. 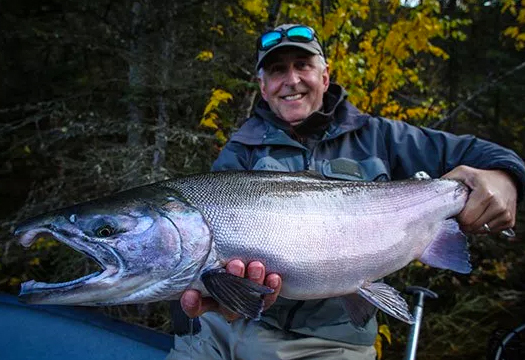 These heart pounding fish start pushing into the Kenai and make an awesome quarry. With the abundance of food in the system the final two months of the season can be some of the best for trout.